Panoramica is a collective of seven brilliant Mexican designers (including Inhabitat contributor Jorge Diego Etienne) who have banded together to create cutting-edge, socially conscious designs. Their first collection, Materiality, consists of an eclectic array of furnishings and housewares that showcase the beauty and function of simple materials. We had a chance to check out the collection in person at ICFF during New York Design Week - read on for a closer look! Panoramica‘s Materiality collection is marked by its elegant and earnest appreciation of common everyday materials. The collective eschewed flashy veneers and artificial finishes to focus on four primary materials – basalt, glass, metal, and terazzo. These humble elements resonate with culture and tradition (basalt is used to create molcajetes – the traditional Mexican mortar and pestle), however the collective breathed new life into them with a fresh and unexpected set of designs. A beautiful folded copper tray made from a single sheet of metal draws inspiration from origami and the shape of Mexican wind toys. A simple stool made from four dowels and a hemisphere of basalt looks thoroughly modern while referencing the curve and materiality of molcajetes. The collective’s terazzo planter and bird feeder revitalize a material commonly used for backyard laundry units. Each design holds a unique story that does justice to both the nature of the materials used and the cultural context that shaped them. 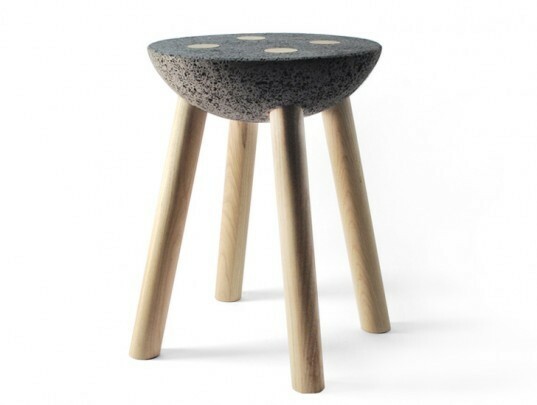 A simple stool made from four dowels and a hemisphere of basalt looks thoroughly modern while referencing the curve and materiality of molcajetes (- the traditional Mexican mortar and pestle). 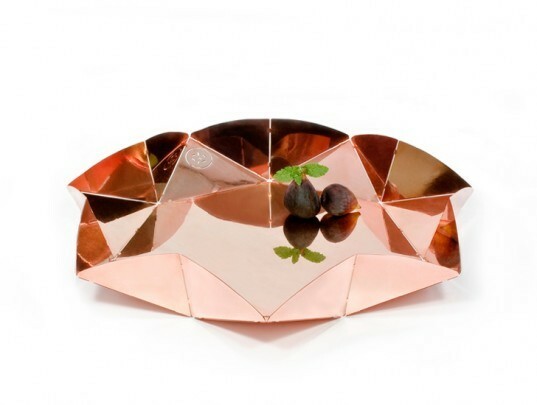 A beautiful folded copper tray made form a single sheet of metal draws inspiration from origami forms and rehiletes (mexican wind toys). 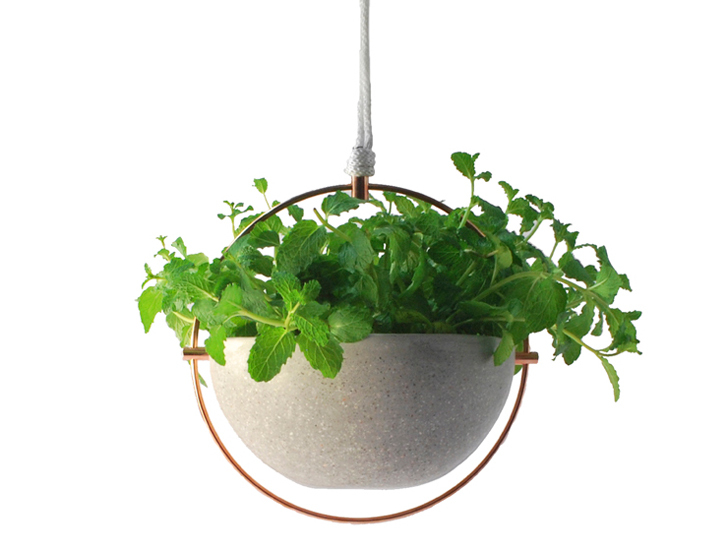 The collective's terazzo planter and bird feeder revitalize a material commonly used for backyard laundry units. Each design holds a unique story that does justice to both the noble nature of the materials used and the cultural context that shaped them. The collective eschewed flashy veneers and artificial finishes to focus on four primary materials - basalt, glass, metal, and terazzo. Panoramica's Materiality collection is marked by its elegant and earnest appreciation of common everyday materials. The collective eschewed flashy veneers and artificial finishes to focus on four primary materials - basalt, glass, metal, and terazzo. These humble elements resonate with culture and tradition (basalt is used to create molcajetes - the traditional Mexican mortar and pestle), however the collective breathed new life into them with a fresh and unexpected set of designs. Panoramica's Materiality collection is marked by its elegant and earnest appreciation of common everyday materials.